If it is your responsibility to manage or install passive fire protection products, materials or systems, it is also your responsibility to ensure that they are ‘fit for purpose’ i.e. that the manufacturer’s fire test and certification evidence fully covers the intended use. It is also your responsibility to ensure that the installer can demonstrate appropriate competency in the installation of the passive fire protection products, materials and systems used. It is essential that the whole system is considered, including ductwork, fittings, supports, access doors, attenuators, etc. We leave nothing to chance and supply you all your intumescent sealants, gaskets, mezz clamps and compliant set bolts. 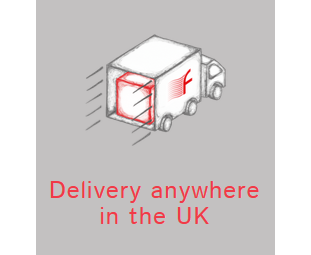 Firetrace Ductwork Ltd will be with you every step of the way to make sure that you comply and your legal responsibilities are met. On Completion our engineers at your request can attend site to inspect the installation and issue a Certificate of Conformity if compliant. All fire rated ducting is manufactured to the CASWELL FIRESAFE® specification. Email us now to obtain a quote for your requirements. The system was developed and tested in the early 2000’s in accordance with BS476 Part 24 (1987). In recent years further, development and testing in accordance with EN1366 Part 1 (2013) to meet European legalisation including CE marking. The product is tested to BS 476-24 (1987) and EN 1366-1 (2013) for up to 4 hours stability and integrity and up to 4 hours insulation (fire outside duct) and 2 hours insulation (fire inside duct). Email us now to obtain a quote for your requirements.